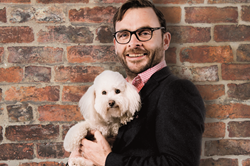 Smart brands and insurers are finally starting to recognise the power of the emotional bond between pet and pet parent, according to Anglo American technology specialist, Aquarium Software. Pet cards are a simple solution to a problem that many funeral care insurance customers worry about - whether their pets will be sufficiently cared for if they fall ill suddenly. The latest company to recognise pet power is Co-op Funeralcare, who now offers their insured customers with dependent pets, Pet Cards providing information about pets in the event of injury or death, reducing the risk of furry friends being abandoned. The Pet Card Scheme allows customers to pick up a wallet-sized card providing details including who should be contacted and asked to look after the customer’s pet in the event of an accident. Bridgette Perks, a funeral arranger, was the first to catch on to the importance of the emotional bond between humans and their four-legged friends by creating the cards, which have now been introduced nationwide by Co-op Funeralcare in the UK. A YouGov survey commissioned by Aquarium Software found that 69% of people asked said that pets were just as important as their human counterparts, indicating that providing pet benefits such as the Pet Card Scheme could prove a great marketing strategy for switched-on brands.